CHARLOTTESVILLE – December 12th 2017 – A great way to end the year! Our work on method development for container closure evaluation has been published in the PDA Journal of Pharmaceutical Science and Technology. In an ideal situation, CCI (container closure integrity) of a parenteral package would be evaluated by measuring a single physical property that is sensitive to the presence of any package defect, which increases its leakage above the MALL (maximum allowable leakage limit). Regulators are paying more attention to the proper design of robust CCI studies and the appropriate use of positive controls. However, there is no ‘gold standard’ as a CCIT test. The FDA requires a detection method be used which is compatible with the product being tested and appropriate for the product configuration. Therefore, the primary goals of this published work were to demonstrate the feasibility of rapid, nondestructive laser-based headspace analysis as a CCI test, by generating science-based CCI data to validate the test method, and to examine two different types of positive controls. Positive controls are important to demonstrate that the CCI test method of choice is able to detect a critical leak. In this article, a physical model for predicting leak rates, for a variety of containers, headspace conditions and defect sizes, is provided. 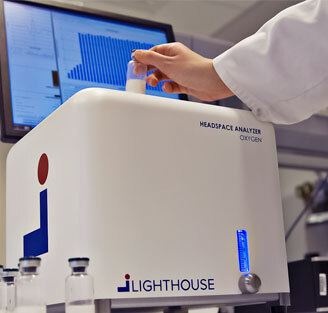 The results present a guide for CCIT method development and demonstrate that laser-based headspace gas analysis can be used to asses CCI throughout the product life cycle. You can read the full Abstract here.